drivingandlife: BEIJING DROPS A BOMB! Beijing Auto (BAIC) has finally begun to realize some value from the purchase of all of SAAB’s assets from GM, launching the SENOVA last April. 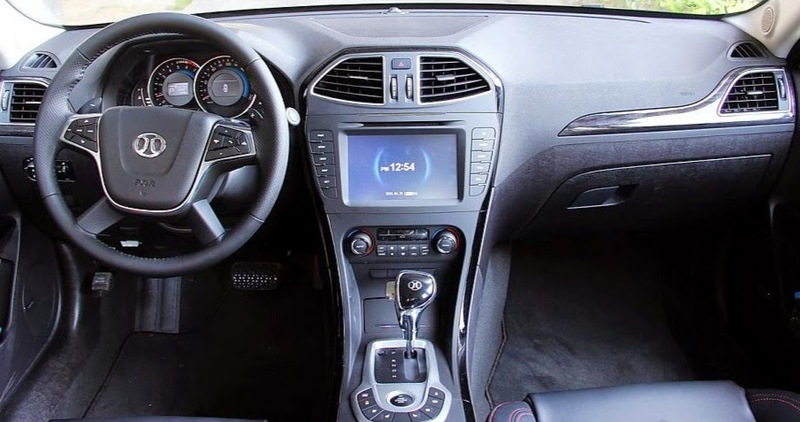 It is based on the original SAAB 9-5 platform and powertrains. 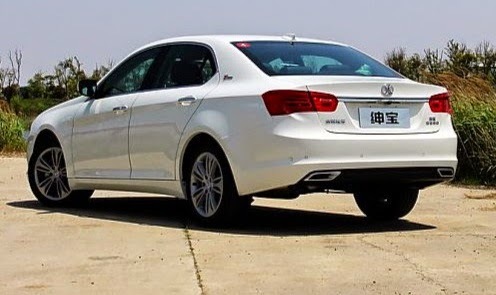 A conventional four-door, three-box sedan it offers a choice of 1.8L, 2.0L and 2.3L turbocharged four cylinder engines, all based on GM’s Family III series. BAIC intends the Senova to service the domestic Chinese market initially, but there’s no doubt it has its sights set on entry to global markets. I believe it has a way to go yet. In design circles the Senova has been heavily criticized for not being adventurous enough. Some Western designers claim it’s dull, and represents missed opportunities to capture more contemporary design elements. More a design of the 90s, rather than the noughties. 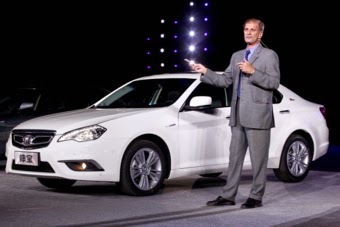 BAIC Design is managed by former Mercedes-Benz designer, Australian-born Peter Arcadipane. The Senova was completed before he joined the company. 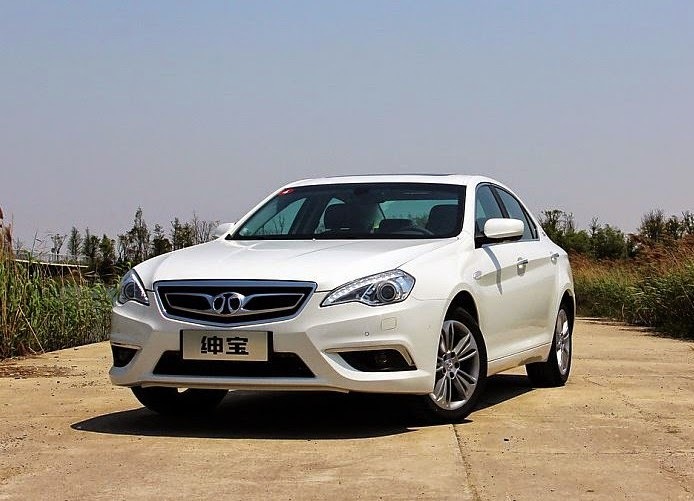 BAIC formerly partnered with both Mercedes-Benz and Hyundai, during the Jurgen Schremp era, when the expansion-minded M-B chairman started buying into companies like BAIC, Hyundai and Mitsubishi. Peter Arcadipane left some strong design ideas behind when he moved from Germany to China, because cars like the CL coupe and CLS four-door are still influencing future M-B designs (see upcoming post on the CLA class 250 sport). I have known Peter since the early 70s, and we have been friends all that time which has allowed me to closely follow his career through Australia, Europe and China. He credits his time in China with teaching him two very important lessons about emerging markets. First, he says many people think of developing markets needing cheap cars, quickly. However, in developing markets the people who can afford to buy cars are looking at the top end of the scale, and that’s why a market opened up quickly in China for high quality, luxury models from Audi, BMW and Mercedes. Second, this taught Chinese consumers the importance of quality. Once cars became more affordable many Chinese car buyers were much more concerned about the quality of the car they were buying, as well as the price. Peter Arcadipane’s challenge within BAIC has been to turn down the flame on speed of design, production and sales - and get the teams more focused on quality. Not just quality of design, but quality of components from external suppliers, and quality in manufacturing processes. It is guidance and experience from experts like Peter Arcadipane, which have the potential to help turn Chinese carmakers into global powerhouses. That’s if they’re listening of course. Correction: Peter Arcadipane did not create the style of the M-B CLS. His proposal was rejected by M-B top design management in favor of another designer who followed into production instead.